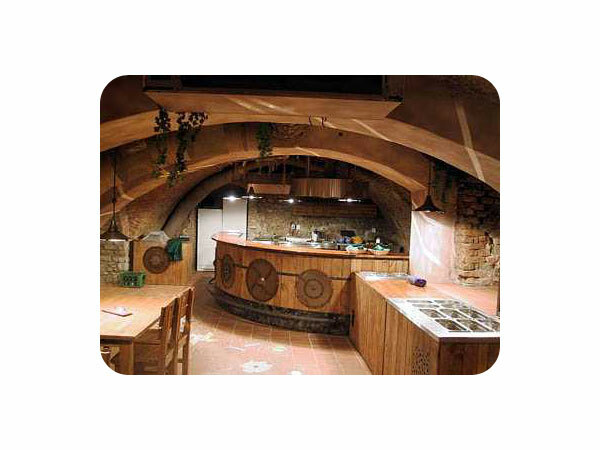 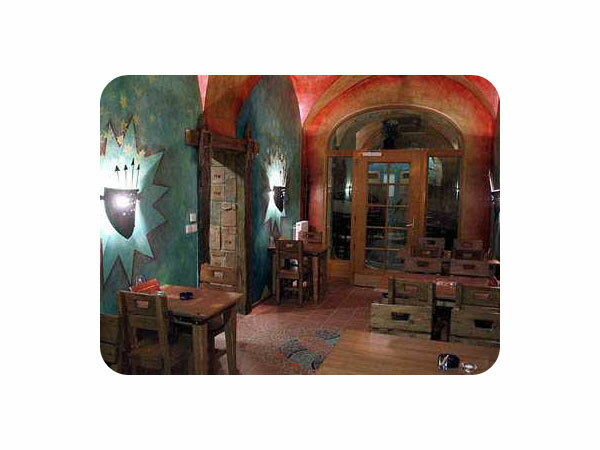 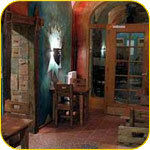 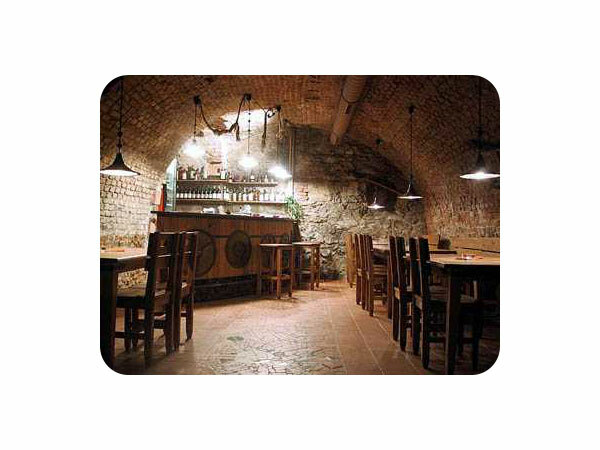 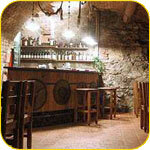 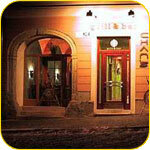 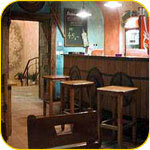 The restaurant is situated in a reconstructed historical building of Velky Spalicek in the centre of town Brno. 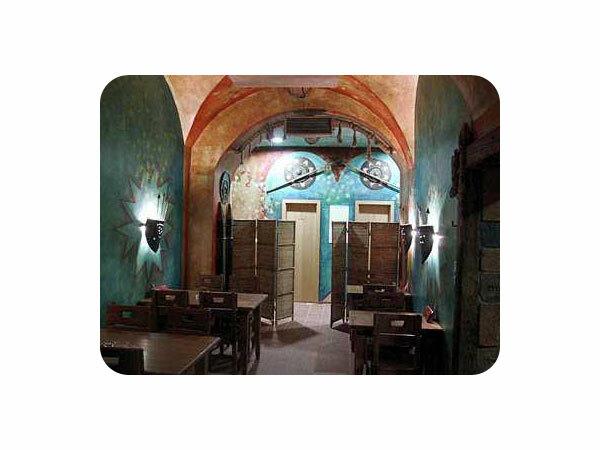 The restaurant by our design and intention of the client ,,Chan´s grill and bar" – Mongolian restaurant – was based on preparing food on a big round iron griddle - reminiscent of traditional cooking on shields of Mongolian warriors – as fast food, meat and vegetables, in front of the customers. 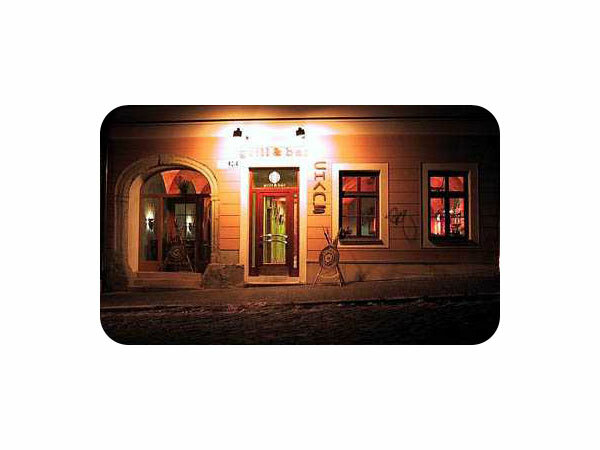 The restaurant has been running for some time under a different name. 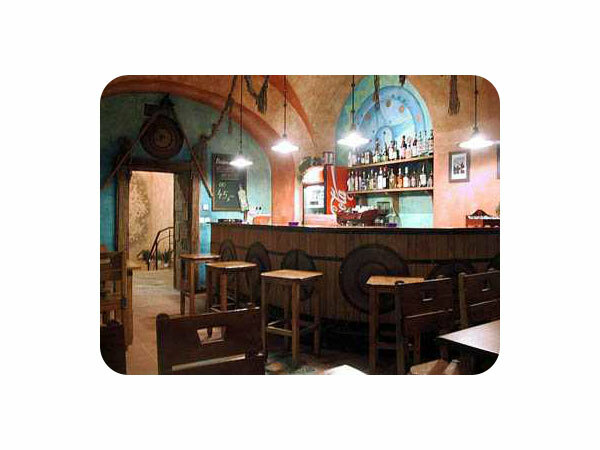 But the main things remained – kitchen using the space under the staircase, all rear spaces, floors and furniture – but paintings (frescoes) in wild colours and the spirit of Mongolia are now only on our photographs. 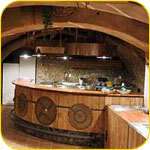 The restaurant is an example of passing nature and endless evolution.